How do you feed a large family for Thanksgiving on a budget? I am going to tell you what I do, and it works for my family. First I look at my local Bi-Lo grocery ad for the week. Then I look for available coupons to save even more. At Bi-Lo, your coupons are doubled! Check out the coupon policy here. That is a savings of $4.50. I don't know about you, but I like saving money on items I will use for my Thanksgiving dinner. 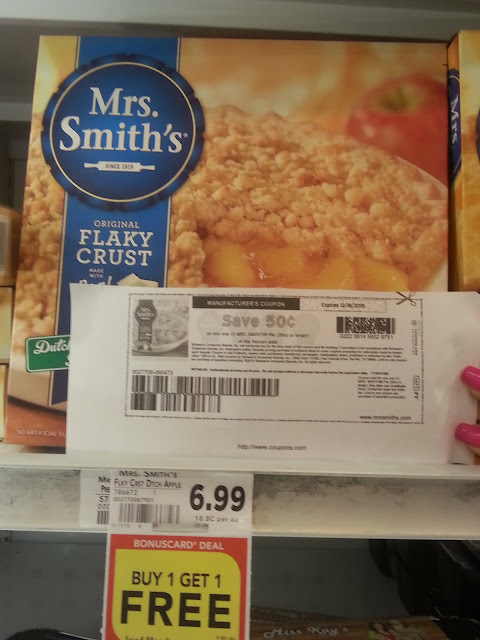 Here is another deal of how I save money using coupons and my Bi-Lo Bonus Card. 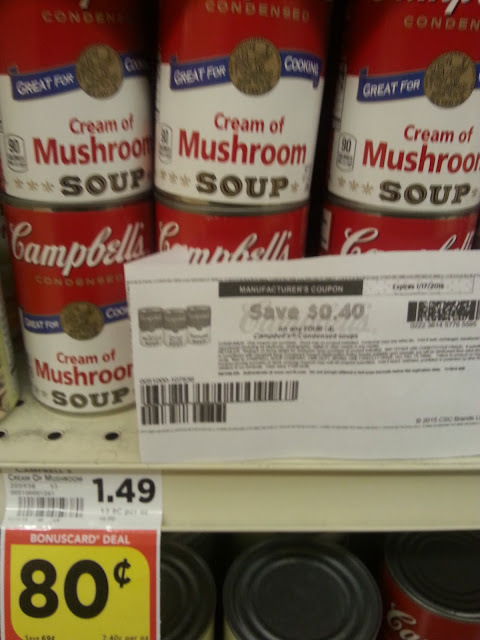 Total : $2.40or 60 cents per can of soup for all those casseroles we make for Thanksgiving. Using my Bi-Lo BonusCard I not only save money, I earn fuelperks. You can learn more about Fuelperks here. Bi-Lo has everyday NEW low prices in place for the items you buy the most. 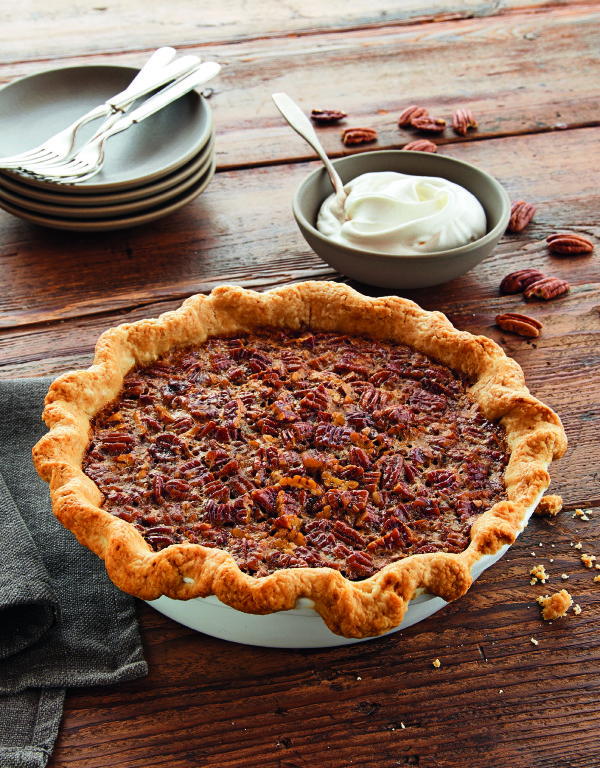 This week's ad has tons of deals for the items you need for a Thanksgiving feast. Through November 26. 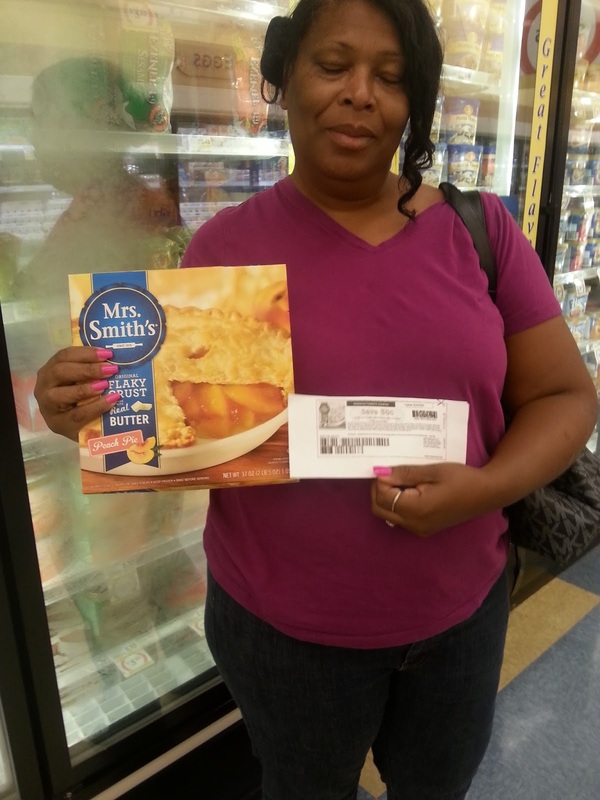 2015 they will price match any advertised Grade A frozen turkey price, including Butterball(while supplies last). Bring the competitor's ad with a lower priced Grade A Frozen Turkey. What are you waiting for? Check out your local Bi-Lo ad online, check out the available coupons and maximize your savings. You can have a Thanksgiving dinner your family will not forget and you can do it all on a budget. Hold on, that is not all! One of my lucky readers will win a $50 Bi-Lo Gift card by entering the Rafflecopter giveaway below. Winner will have 48 hours to respond to email or forfeit the prize. Yum! I wold buy BOGO Baskin-Robbins Ice Cream pints. Great Deals! Wish I had a Bi-LO store near me! I need the cream of mushroom soup! theses are some great deals! Wow, what great deals, especially on the Mrs. Smith's pies! We lost our BiLo to the Food City brand about 6 weeks ago and I miss my it! I'll be buying sweet potatoes, carrots, celery and butter. That pecan pie looks so yummy! Too bad there's no bi-los near me! I would buy Red Baron Pizza and Kraft shredded cheese. Dang,I wish we had a bi-lo around here! I will buy stuffing and yams for the side dishes am making. 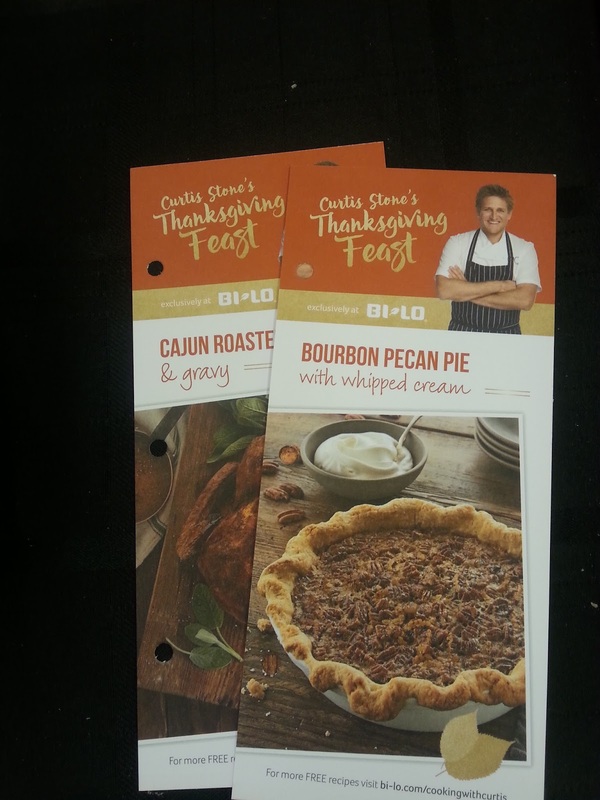 Unfortunately, we do not have a Bi-Lo store near us. I LOVE the fact that the store doubles coupons!! I am a huge coupon user & I would save quite a lot!! Some stores, around here, won't even take the printed coupons - let alone double them!! Even Kmart, on double coupon days, will only double the first 5 coupons that you give them. I don't have any stores near me that offer such good deals. Some don't even take coupons and those that do don't double them. We dont have anyone who doubles coupons anymore. I wish we did because they would get a lot of business. I shop with coupons too. I dont do any ones with the printer though because I dont haave a printer. I LOVE BILO! I love that the double small value coupons. I will definitely be picking up some stuff for holiday dinner! Always looking for ways to save money!